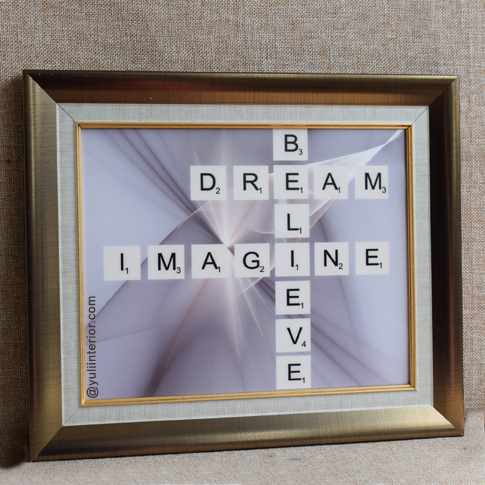 This unique brown frame with the inspirational words, "believe, dream and imagine" depicted with scrabble letters is perfect making your visitor smile and inspiring you every day. It is suitable for use in any living space. Custom design available with words of your choice.